There is an opinion that resumes are like handshakes but remote ones. It is difficult not to agree with this statement. In sober fact, a resume comprises the detailed information about your personality. This is the way how you meet your employer. Nevertheless, these days, there are lots of resume formats. Frequently, when you start creating your first resume, you can’t find out which format will be the best one in your particular case. In this review, we’ll try to find the answer to this question. First, you need to start considering your resume to be a selling point. This is the main tool which contains the detailed information about your work history and skills. Nevertheless, creating a resume is a little bit challenging for some individuals. Furthermore, if your primary purpose is to change the industry, this challenge is even bigger! So, to simplify a problem, let’s define the basics! It is worth noting that this format is the most-frequently used one. As a rule, it lists your working experience in the chronological order (from the most recent job you had). You are a recent graduate with an inconspicuous experience in the chosen area. You are a mid-career professional and make a boast of a good experience of work. You are an individual with a work history which shows your forward movement. You are a military member and search for the opportunities to change the scope of activity. You are a person who works with an executive recruiter. You frequently change the job positions. You have a long gap in your employment history. This type is more popular than the previous one due to the fact that it is more concentrated on highlighting your abilities. In other words, you need to describe your achievements instead of the work history. Of course, there are lots of hiring managers who still prefer the chronological type. Yet still, a functional resume is also popular these days. You want to change the industry. An employee with top-notch skills that are necessary for the chosen position. Apply for technical or IT positions. Want to push your skills over previous employers. If you are a student who can’t make a boast of a good experience, you shouldn’t use this resume format. As a rule, it consists of two pages and bullet points that highlight your skills. It is widely used by mid-career professionals who search for new management positions. It features the personalized look. It will definitely please the needs of the hiring committee. In current times, a resume format should be short and concise. There is no need to make it too bright with annoying fonts or flowery borders. Yet still, it doesn’t mean that you can’t be creative. This skill is necessary in case you want to apply for a designer, photographer, interior designer or architect. This resume format is the best choice because it is easy to read and easy to understand. When you have no idea which format is the best one, choose this one. As a rule, clear and simple resumes never go out of style. Besides, this is an ideal solution for those who have impressive work experience and lots of awards. The overarching target of this resume is to give employers an opportunity to see your skills, experience or awards almost immediately (without the necessity to learn a resume for a long time). It can perfectly highlight your work experience, introduce your creative nature, etc. When a hiring manager takes a look at this resume format, he will immediately identify whether you meet their requirements or not! You should add a column with the information in your resume and highlight it. This is a traditional resume format which contains bold headers and highlighted work experience. As a rule, specialists from IT area, service industry or corporate positions use this resume format. As you see, there are lots of resume formats. So, you need to choose which one complies your demands most of all. In some instance, one or another company has definite requirements to resume formats. In this case, you need to follow their recommendations and edit your resume according to their needs. 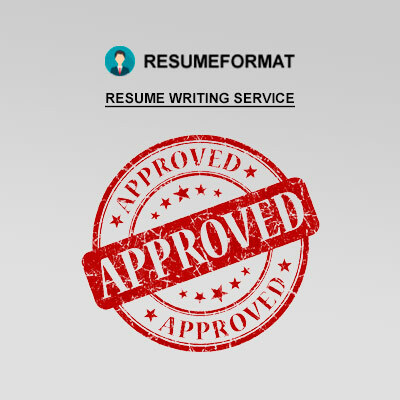 Yet still, if you have no idea which format to choose, and don’t know how to compose a winning resume, welcome to ResumeFormat2015. Our team knows how to assist you! Our writers can create a resume for a student who just starts building a career, or for an experienced person who just wants to earn more! Copyright ResumeFormat2015.com © 2015 - 2019. We are international level professionals who can help you create a winning resume. This resume will help you get the job of your dream!